À cheval donné, on ne regarde pas la denture | One quality, the finest. The story begins in 1829. The viceroy of Egypt, Mehemet-Ali, wanted to thank France for the aid of engineers sent by King Louis-Philippe. What’s the appropriate gift for helping to modernize a country? Well, how about a couple of ancient obelisks that were cluttering up the landscape? 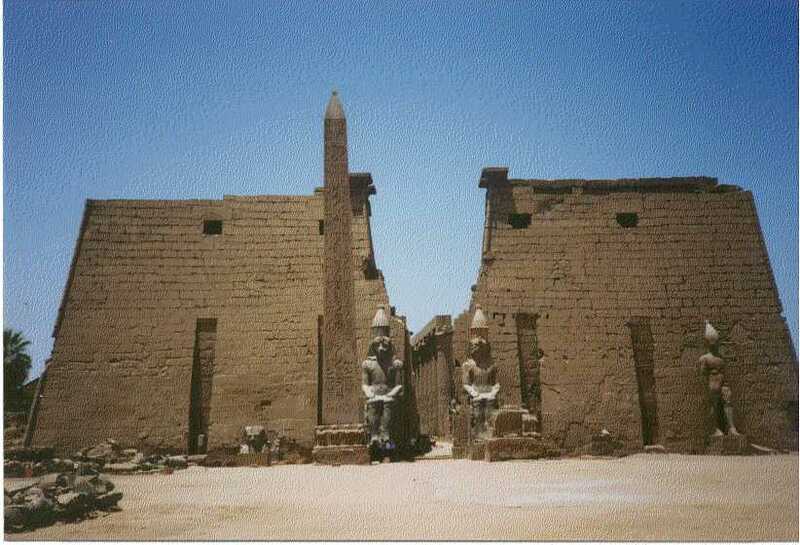 Ramses II placed them in front of the temple of Louxor about three thousand years earlier. Well, it’s not polite to look a gift-horse in the mouth (or, as they say in French, à cheval donné, on ne regarde pas la denture (ah sheval dunay, ohn nuh ruhgard pah lah dehntoor)), but there was significant difficulty in getting the obelisks back to France. 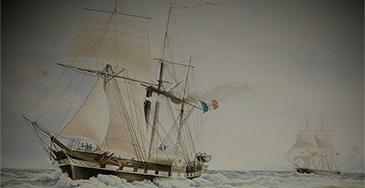 Mission (Almost) Impossible was given to French marine engineer Apollinaire Lebas. He started with just one obelisk. It needed to be taken down without breaking it and then carted to the Nile. A ship built just for the purpose, the Luxor, then carried the obelisk to the mouth of the Seine, and thence to Paris. If the sheer engineering logistics weren’t daunting enough, there were a myriad of other complications: a cholera epidemic, the need to wait for the Nile to be at its maximum depth, difficulty hauling the obelisk across land. It took two years to cross the Mediterranean Sea, follow the French coast up the Atlantic, and then down the Seine to Paris. The total time from gift by the viceroy to installation on the Place de la Concorde was seven years. 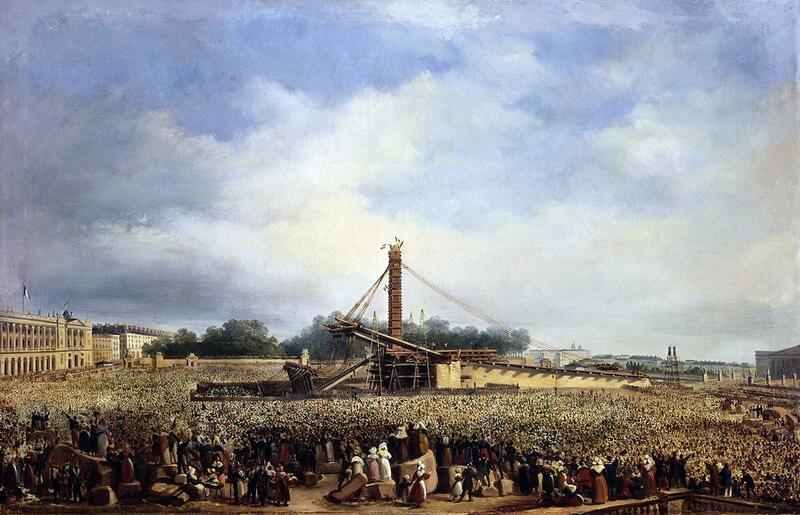 On the 25th of October 1836, King Louis-Philippe and 200,000 Parisians came to see the installation of the obelisk on the place where the guillotine had severed the head of Louis XVI and so many others during the Revolution. The spot was not accidental. The King wanted to definitively turn the page on the bloody past. 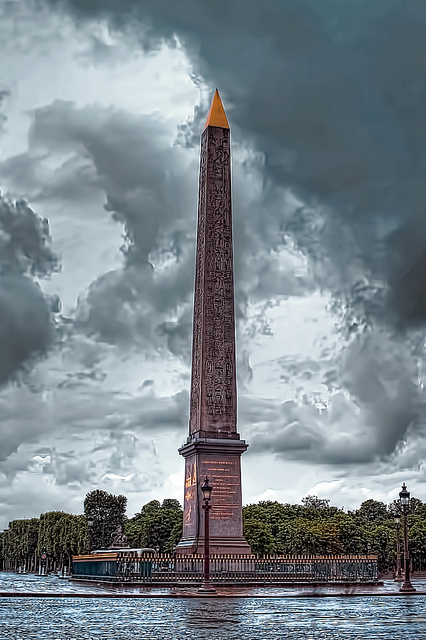 The cost of moving a 23 meter, 230 ton obelisk was so staggering that the French said “Non, merci” to the second one. It’s still there and may remain in Egypt for another three millennia. The exhibit won’t be in Paris that long, however. It’s just open until July 6, 2014. Open Monday, Wednesday, Thursday, and Friday from 11 am to 6 pm. Open Saturday and Sunday from 11 am to 7 pm. Closed Tuesdays. Admission 10€. This entry was posted in Architecture, History, Travel and tagged Apollinaire Lebas, à cheval donné on ne regarde pas la denture, Louis Philippe, Luxor obelisk, Mehemet-Ali, Musée national de la Marine, obelisque de louxor, Place de la Concorde, Ramses II. Bookmark the permalink.